I was supposed to be baking today. I had planned to spend a good few hours in the kitchen standing next to a hot oven, but when I stepped out early this morning for my routine exercise, I realised I would have to change my plans. I could feel a soft warm breeze during my morning walk to the beach, but before mid-day the temperatures had hit the high twenties and there was no chance for keeping the oven going for hours. I did step out to pick up some fresh ingredients from the green grocer and I couldn't get my mind of a citrusy salad with a slight hint of pepperiness. This watercress salad was exactly what I was craving for on this hot day, but hopefully I can return to my baking again tomorrow. This looks so incredibly refreshing! 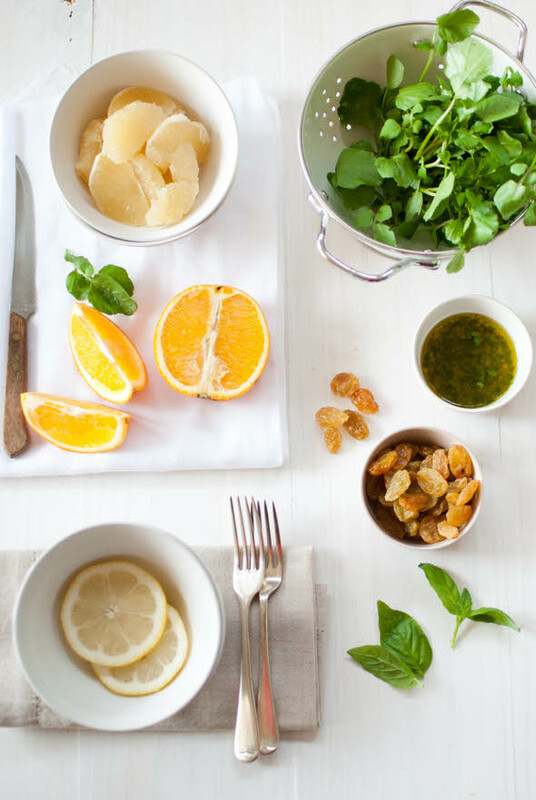 Watercress is one of my favorite greens, and it combines so well with citrus - I am craving this now! Delicious salad. So light & healthy! 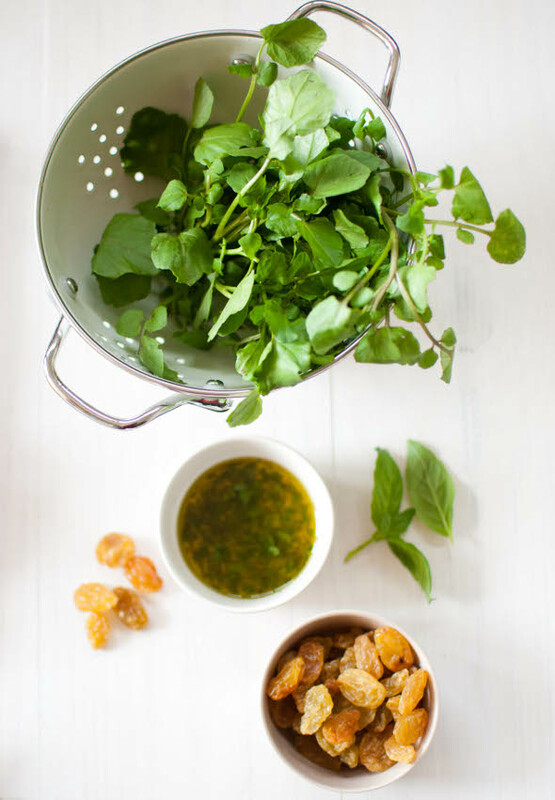 This looks so refreshing, I love the flavor of watercress..
Summer is not over yet. I am a hot weather gal, so not complaining. This salad is so refreshing and summery. Love love love your creations. Your salad looks beautiful, even if it is 35 below zero here. A salad like that is just as good as some warm sunshine. yum, thats my lunch for tomorrow sorted. i am obsessed with your blogggggggggggg! That just looks to pretty, gorgeous photos. And imagine the peppery watercress would work a treat with the citrus. This looks like a beautiful salad. I really love Watercress, but have never used it before - I've just eaten it at restaurants. Watercress salad is quite wonderful.. I like the freshness of your salad.. refreshing and not overloaded with dressing.. which is something I should note to myself.. eeek..
That looks beautiful, I'm going to make this ASAP. I always toss in citrus into a salad when I have it. This looks fresh and clean. Watercress is something I need to experiment with more. Beautiful post. Ihanan raikas ja kaunis salaatti! Could your pictures look any better. Seriously, I need some lessons from you! Amazing, saw your comment on joanna's site and new i had to stop by! have a fabulous day! The whole of Perth has felt like an oven without any extra oven-use encouragement for the past couple of weeks, so this is a perfect meal for us right now. My mom looooved arugula! We ate tons of it together when I was little. Such a beautiful salad, Maria! How beautiful! Every time I go on your blog you get me dreaming of warmer weather. Amazing photos of this one! I have been loooving watercress lately, I throw it in my smoothies or fresh juices in the morning and I find it so refreshing and cleansing. Looking forward to giving this salad a try! Thanks Maria! Walk to the beach and over twenty degrees...sounds heavenly. Ooh I wish spring came. The weather here in Holland is still pretty cold. The salad looks amazing and the pictures beautiful again. Last picture is perfect. Mmmm...I love something simple and healthy like this. I can eat a big plate of it. Hope you have done some baking as planned. so summery and light! perfect for a warm day! I love your new-look blog banner! Very nice picture as usual, and fesh and healthy recipe. Here it's chilly and the winter is back! I keep your ideas for the spring, when I definitely plan to redo some of your dishes with my own French-Belgian touch - I'll keep you in the loop! This light refreshing salad is definitely the perfect thing for when the temps heat up! Sounds so delicious! This one is a must try! The peppery flavour with the bright citrus-Yum! Lunch, here we come! Lovely shots too! I've only just found your blog - I can't believe it took so long - and I immediately want to run to the corner shop for watercress and oranges. The photos are stunning. I can't wait to read more. 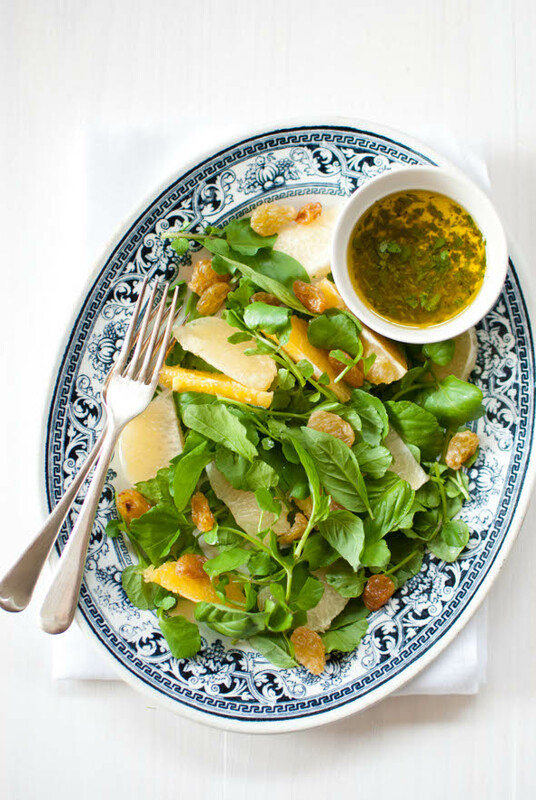 I love the look of this salad...have to admit never had watercress before, perhaps can leave that out? Refreshing! It is fun to read your blog. You are the first person from the Southern Hemisphere that I am following and it is a nice change to read about someone living in a totally different seasonal reference than everyone else I know. Love your pictures. How would cubed grilled chicken or canned tuna added to the salad taste?